Illinois River Crossing, Cherokee Co. 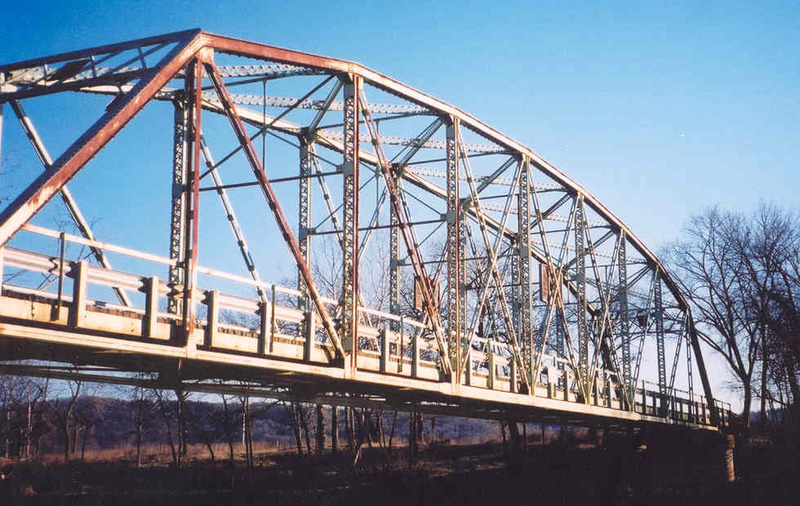 Built in 1928, this 189-foot riveted Parker span is located near Eagle's Bluff. 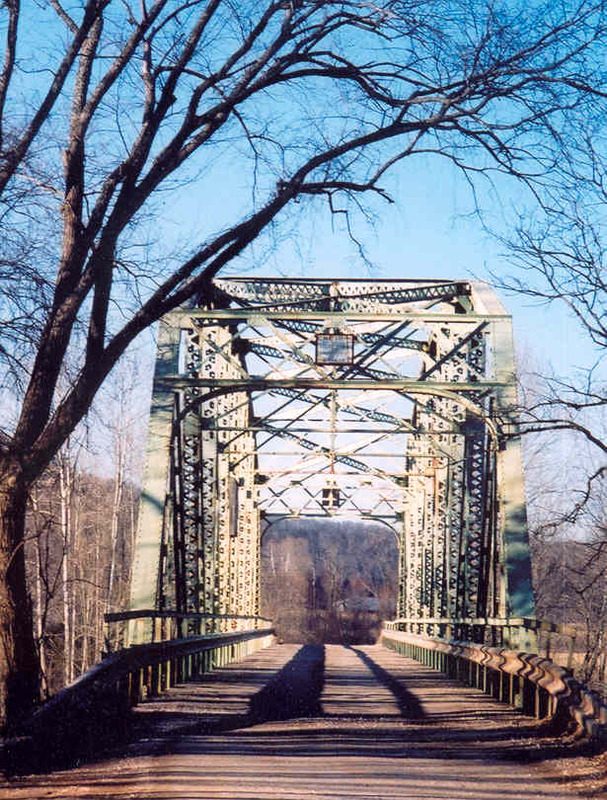 This bridge has many features typical of other bridges built during the 1920's, such as riveted construction, 21' long panels, and clean, neatly designed portals and sway bracing constructed of angles and plates. This bridge also features curved knee-braces in the portals, a carry-over of the practice of previous decades. A unique feature of this bridge is the lower chord, constructed not of the customary channels, (typically arranged thus, ][) but of four angles arranged in an 'H'. A feature we found unique to this bridge stems from the modern popularity of water recreation on the Illinois River. 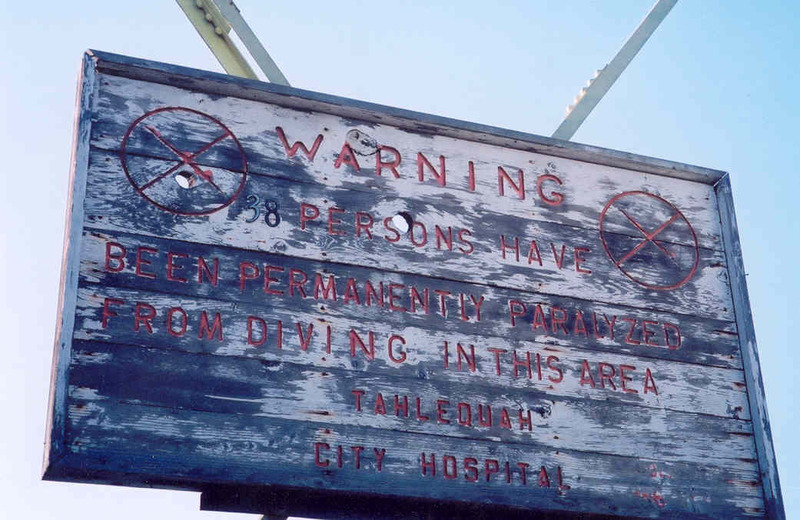 The sign on the portal in the picture above warns people not to dive off of or loiter on the bridge. Another sign is located in the center most X. There are actually two, one readable from the deck, and another from the river. We thought the most interesting part of this sign was the easily removable (and hence changeable) numbers on the sign! Below, a view thru the bridge on the deck. The deck is wood on steel stringers with an asphalt wearing surface. 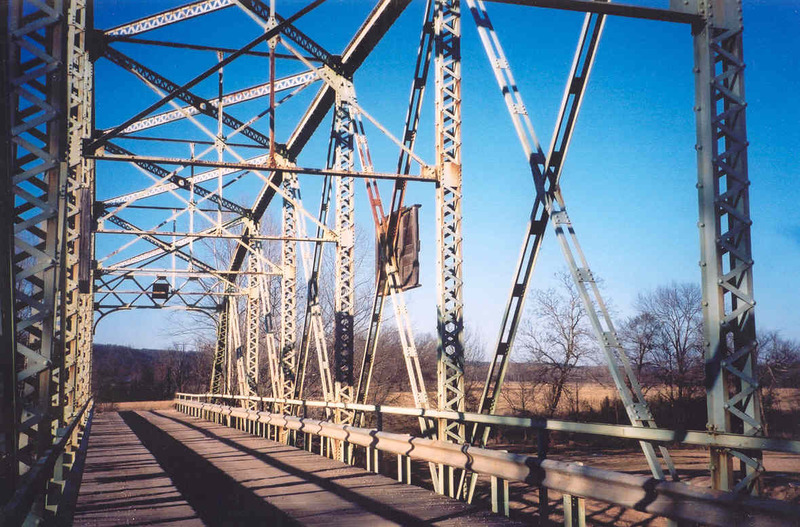 Unlike many riveted bridges, this one does not have a horizontal strut thru the middle X, the vertical posts being sized large enough not to need one. 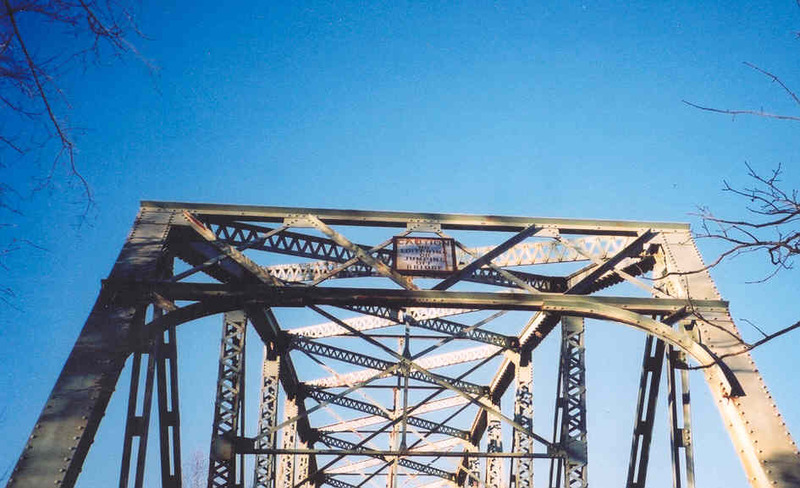 On many bridges smaller posts are used requiring the horizontal strut to prevent buckling.